For more than 25 years, we’ve been working with equine experts: trainers, breeders, judges, and top competitors. We’ve gotten to know a lot of smart folks, and they love our harness! They like to tell their friends and clients about our quality products because they really fit and they really last, and because we really follow through to be sure you’ve got the best product for your purpose. We have begun to identify experts in a number of regions and set them up to help others with harness and driving questions – putting boots on the ground, so to speak. Chimacum Tack Ambassadors are seasoned equine drivers as well as long-established customers who have agreed to help new drivers select, fit, and purchase their first harness from us here at Chimacum Tack. We’re careful in selecting our Ambassadors, so you can feel confident reaching out to these folks with questions about fit and function of your new harness. Hello, I am Dorothy Whiteman. I can’t remember a time when I did not love horses. Growing up in the greater Seattle area, my access to horses was limited to watching other riders or drivers. I went to Central Washington State College – now University – and earned a degree in Education. I came to Elma to teach, and bought my first horse. I married Ron, raised two boys, earned a Masters Degree in Education, and taught for nearly 40 years before retiring. Outside of school, I rode dressage, held a trainer’s license for race horses in both Washington and Oregon, and drove Draft horses. 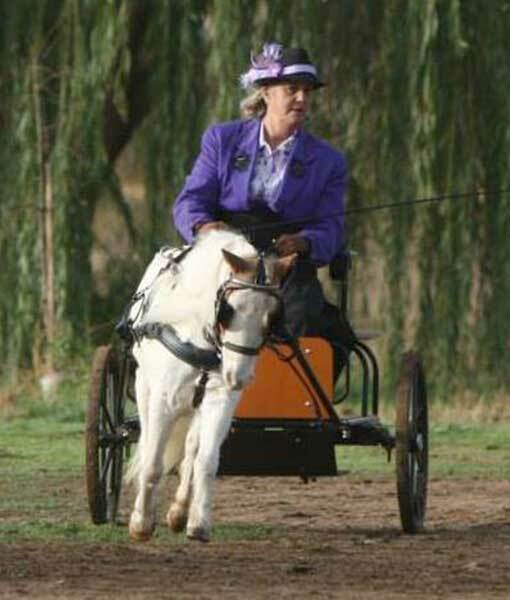 After retirement, I pursued a second career as a trainer of miniature driving horses and teacher of driving students. 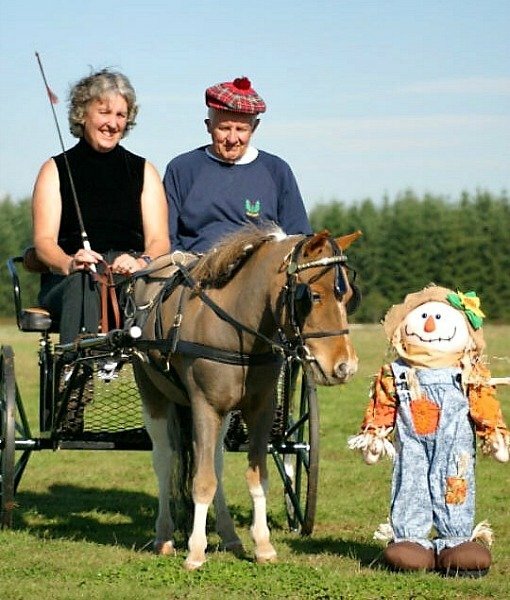 Ron and I have a small farm outside of the town of Elma where we grow our own hay, drive our horses, and love our life. We drive in both the breed rings, and at CDEs and ADS pleasure shows. I look forward to continuing my friendship with Chimacum Tack, which started more than 15 years ago when I bought my first pleasure harness. I hope to help you learn all you need to know to love this sport as much as I do. Favorite Book. Anything from the Outlander series. Hi! 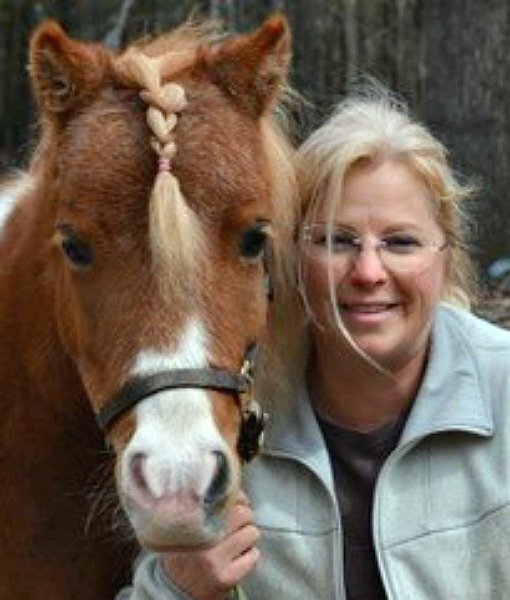 I’m Mindy Schroder of The Essential Horse. My three passions are horses, driving, and helping people. 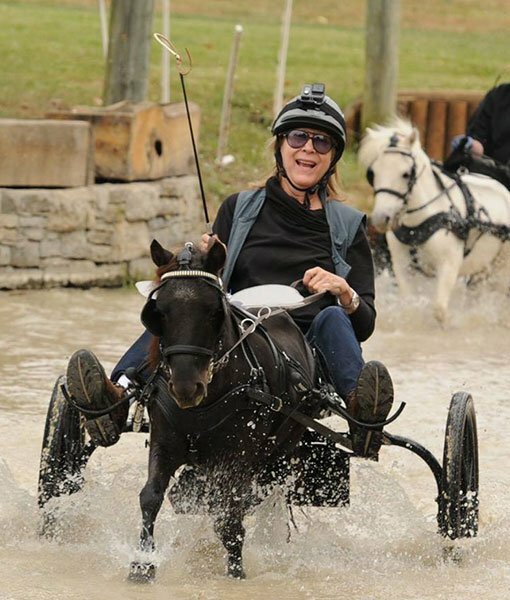 Helping people and horses be safe while they fulfill a their dream of driving whether it be for pleasure, show or combined driving is my top priority… along with helping it all feels fun and easy. Sallie Wickens lives In Climax Springs, MO and has helped many people with harness questions and fitting over many years. She belongs to a number of clubs and is active within the driving community, traveling to shows and the National Drive. 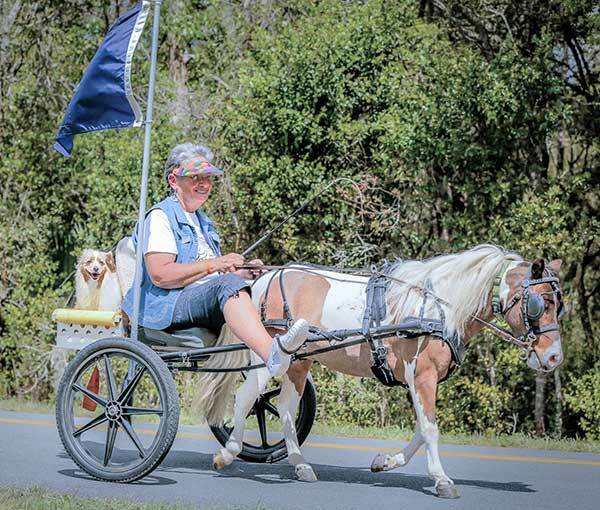 She has been a customer of Chimacum Tack for many years and owns several comfy fit harnesses. You’ll find her thoughts on equine feed and other subjects over on the blog! Horse Concierge: I have an unquenchable thirst for deeper communication/understanding with horses. My most profound moments in life (both good and bad) can be attributed to lessons taught to me by my hoofed or pawed friends. My best days are spent taking long drives on the beach or jaunts in the woods. In 2013 I found myself with a lovely little miniature horse that I had no clue what to do with. After some serious research I called Chimacum Tack and Janie talked me through sizing and purchasing my first ComfyFit harness. So with absolutely no driving knowledge or skill I taught Rebel and myself how to drive. 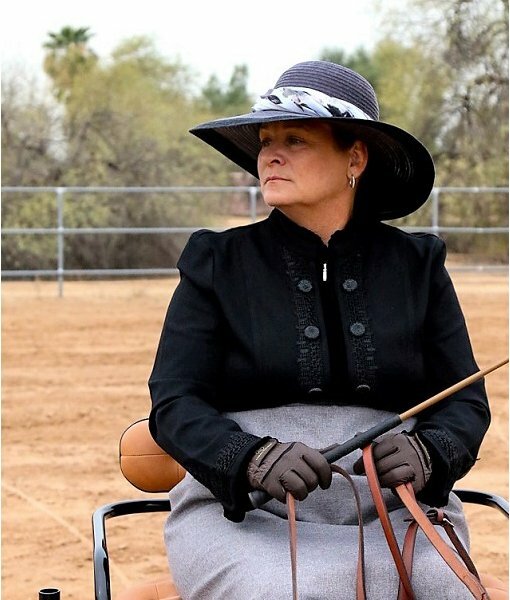 I joined the Arizona Driving and Carriage Society and started showing in pleasure shows and ADTs. We have now been showing successfully for the last five years, loving every second of it! Favorite Book: ANYTHING by Carl Hiaasen! I started show Morgans at age 5, then at age 7 I began showing Arabians for a local ranch. I discovered Miniature horses by accident, when I rescued 3 of them in the 1980’s. I was totally hooked! I showed in breed, pinto and open shows and even did the National Mountain Trail Trials… Then, I stumbled onto Combined Driving in 1995! I have been very successful; Miniatures are uniquely suited to Combined Driving, and Comfy Fit harness are designed to fit — I don’t use anything else! I love this sport, and look forward to helping and sharing it with others. My name is Elizabeth! 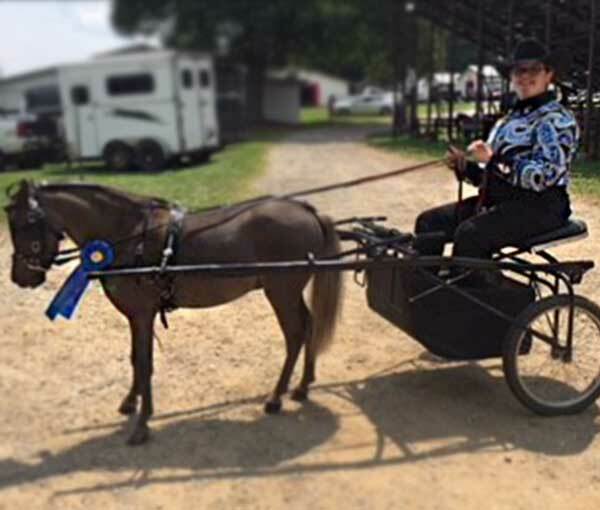 I am right from the heart of horse country in Kentucky and have had a lifetime of experience with horses and break and train Miniature Horses for the driving show ring! With multiple top achievements, including world top ten in hand and also US regional top 2 in driving, I have been very accomplished and love to help new people learn and climb the ranks! It is my top priority to help people find the correct fit of harness for their horse and one that will make them stand out and look amazing in the ring! Always happy to help and answer any questions! I’m not a trainer, and I haven’t been driving for 30 years, (only 7.) 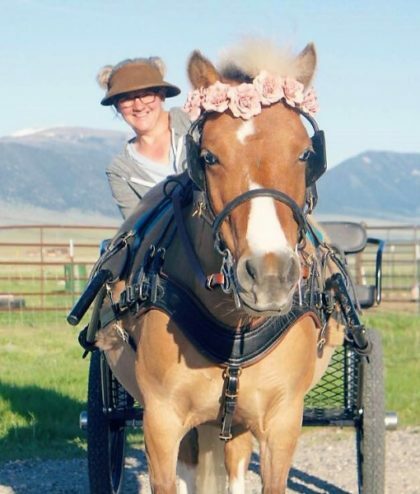 I just love driving my minis, which is my biggest contribution to being an Ambassador for Chimacum Tack. My experience: having the only mini horse to go across the US on the Caravan, which changed my life. I have been driving tandem for the last two years, up to Canada for five at the Can Drives, and driving further into Alberta with friends. I drove across Washington last year, and am doing some competing this year. Oh, and did I mention, that I love driving my minis!!!! 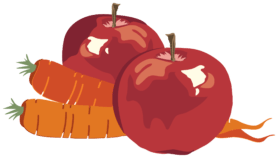 Don’t see an Ambassador near you? Just call us, and we’ll be glad to help you out. If you are a long-time customer who is also a driving expert interested in becoming a Chimacum Tack Ambassador, please be sure to read about details of the program, here.